Now in its 30th year, April is recognized as Alcohol Awareness Month. During April, the National Council on Alcoholism and Drug Dependence (NCADD) and other organizations work to increase public awareness and understanding, reduce the stigma, and encourage local communities to focus on alcoholism and alcohol-related issues. Most people can have a drink or two with friends or a glass of wine with dinner without consequences. However, for a significant percentage of the population, alcohol-dependence, sometimes called alcoholism, is a serious concern and having even one drink results in a downward spiral. For an alcoholic, “One drink is too many, a thousand never enough. 5.3 million adults − 36% of those under correctional supervision at the time of the survey − were drinking at the time of the commission of their criminal activity. 40% of state prisoners convicted of violent crimes were under the influence of alcohol at the time of their offense − the more violent the crime, the greater the likelihood that alcohol was involved. 25% of state prisoners given a standard questionnaire to screen for alcoholism tested positive. Alcohol misuse problems are not limited to the criminal justice system. In the work place, workers with alcohol misuse problems are 2.7 times more likely than workers without a drinking problem to have injury-related absences. Additionally, one-fifth of workers and managers in a variety of professions report that a co-worker’s on-the-job and off-the-job drinking jeopardized their work effort and personal safety. Becoming an alcoholic does not happen over night. A person builds up a tolerance over time, and then possibly abuses alcohol before becoming alcohol-dependent. Even then, there are a number of factors that come into play to become an alcoholic. 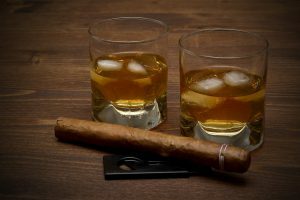 However, once the addiction takes over, it almost becomes more important to drink than to breath. Becoming an alcoholic happens over time; getting into recovery also takes time. Addiction is a brain disease. Brain scans now show just how significantly a person’s brain changes as a person becomes addicted. Young or old, the brain is impacted. Once in recovery, the brain can heal itself, partially, but like other chronic diseases, recovery is a life-long struggle. In fact, relapse rates for addiction and/or alcoholism are similar to other chronic diseases, such as Hypertension or Asthma. Take the right steps and you can live a healthy life, but it is a day-in-day-out battle to not relapse. Unfortunately, there is a 50-70% likelihood that a person with Hypertension or Asthma will relapse. Just like those chronic diseases, people suffering alcoholism may slip up and relapse. Someone that has a drug addiction, such as alcoholism, has a 40-60% chance of relapse. The theme for Alcohol Awareness Month is: Talk Early, Talk Often: Parents Can Make a Difference in Teen Alcohol Use. 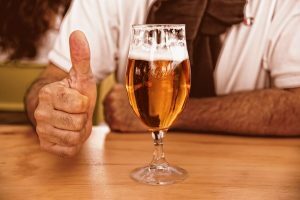 During April there will be a number of local, state and national events aimed at educating people about the treatment and prevention of alcoholism. Recognizing that our youth are our hope for a better tomorrow, many of the activities will focus on the dangers of underage drinking.